from Owatonna High School and lives in Mazeppa. based at Camp El Toro, California. and served as Commander 1996-2007. Private to Chief Warrant Officer in Feb. 1969. _Ft Campbell, KY with 11th Airborne 1954-55, Germany 1955-58, Lebanon 1958, Ft. Campbell with 101st Airborne 59-65, Vietnam 1965-66, Ft. Bragg, NC with 82nd Airborne 1966-68, Vietnam (2ndTour) 1968-69, Ft. Hood, TX 1969-70, Korea 1970-71, Ft. Bragg, NC 1971-74. 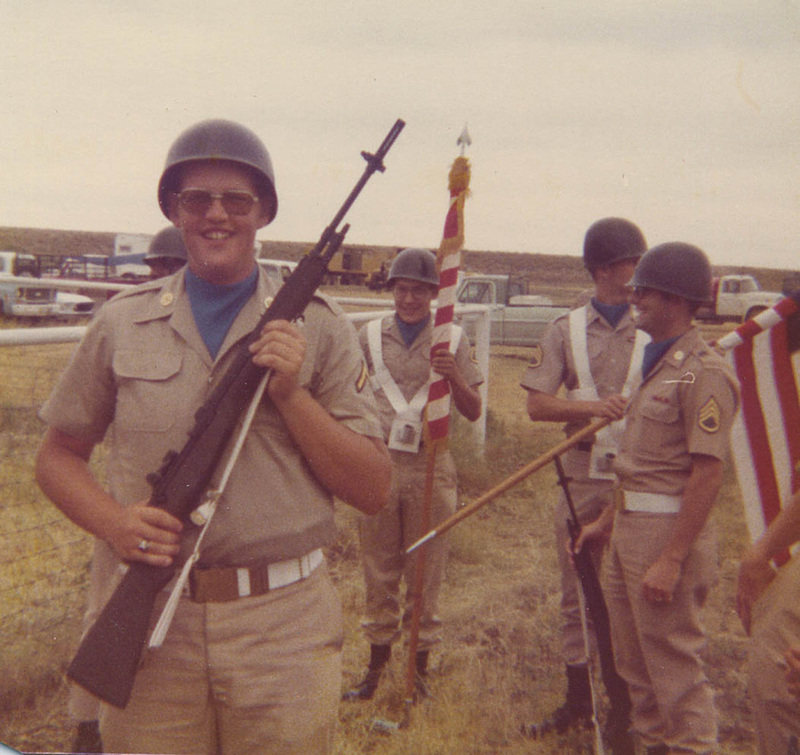 Frank's 1st tour in Nam' w/ 1st Brigade, 101st AB secured bases during the Vietnam Buildup. 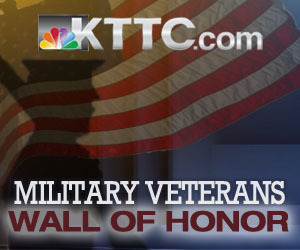 Frank is a member of the Mazeppa American Legion Post #588, the Mazeppa Veterans Honor Guard and the Zumbro Falls VFW. Frank is a past Legion Commander and has served in a officer position for many years. _Ralph served with the 4th Bombardment Squadron, 34th Group H, 8th Army Air Force in WWII. He participated in the battles and campaigns of Central Europe Air Offensive Europe, Normandy, Northern France, Rhineland and Ardennes. His medals include the European African Middle Eastern Theater, American Defense Service, Good Conduct Medal and E.T.O. Campaign ribbon with five battle stars and the Presidential Unit Citation. Ralph belonged to the Mazeppa American Legion Post #588. Ralph is buried at Fort Snelling National Cemetery. _Tec 5 Harry Sommerfield served with the US Army Aircraft Artillery, Battery C436, seeing action in Algeria, Morroco, Tunisia, Sicily, Rome, Italy, Central Europe, Southern France and the Rhineland. His service medals included Bronze Arrowhead, three major Battle Stars, European-African Middle Eastern Theater Service Medal, Five Overseas Service Bars, Good Conduct Medal. Harry was a member of the Mazeppa American Legion Post #588. _AM3 John C. Van De Walker grew up in New Haven Township and in Pine Island. He graduated from Pine Island High School. He was a member of Mazeppa American Legion Post #588, for more than 50 years, and a past Commander. AM3 John C. Van De Walker was also a member of the Mazeppa Veterans Honor Guard. 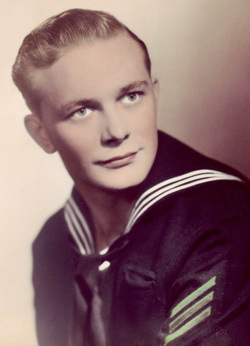 _Tech 4 Richard Josselyn served from October 7, 1944 - August 9, 1946 with the 94th Infantry Division in Europe during WWII and was part of the Ruhr Pocket Offensive. 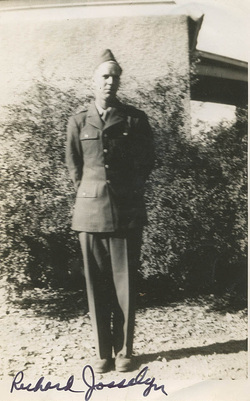 In April 1945 after Germany surrendered, he transferred to Munich, Germany and served in the Quartermaster Corp as part of the Army Occupation. 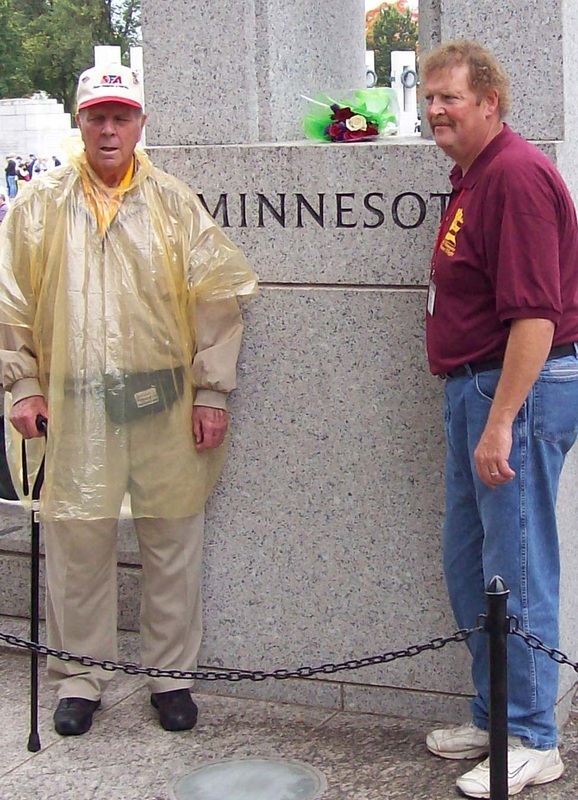 Richard and his son, Jeff went on the Honor Flight to see the WWII Memorial. 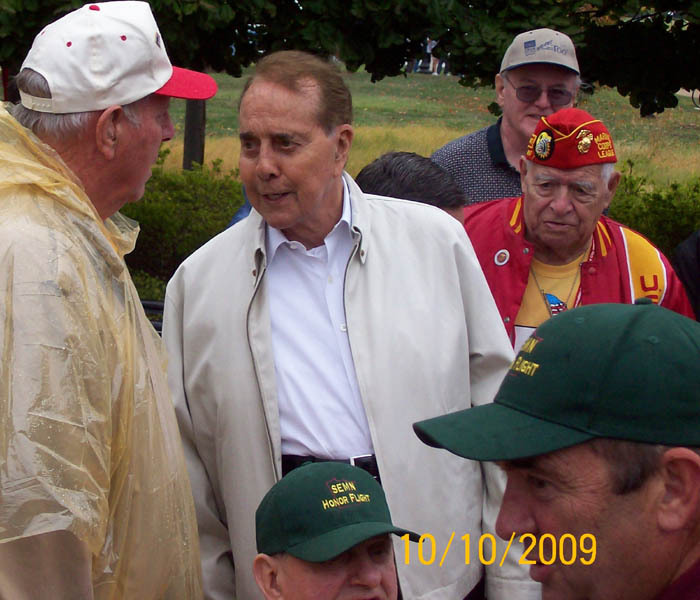 Richard met SenatorBob Dole at the Memorial that special day. Richard is a log time member of the Mazeppa American Legion Post #588.